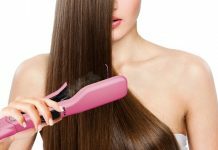 Choosing the best hair straightener for your hair can be difficult as there are many different brands, sizes and heat settings. If you have thick hair, you’ll need one with higher temperatures and infrared technology to help your hair glide down the plates. For thin hair, you’ll need lower temperatures to prevent hair burn. 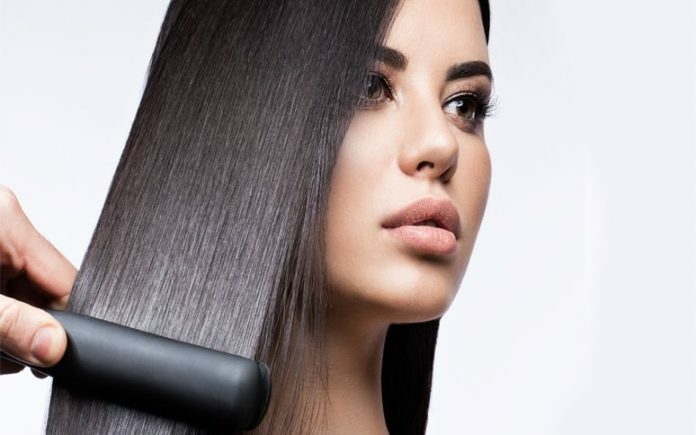 We’ve gone above and beyond and tried and tested, and each these are what we would recommend as the best hair straightener, making your choice much easier! ✔ Keratin infused micro conditions that transfer to the hair during styling. ✔ Embedded heat sense strips that detect the temperature of the hair. ✔ 1 inch floating plates guarantee a smooth hair glide during straightening. ✔ 5 different heat settings from 300 – 400 degrees Farenheight. 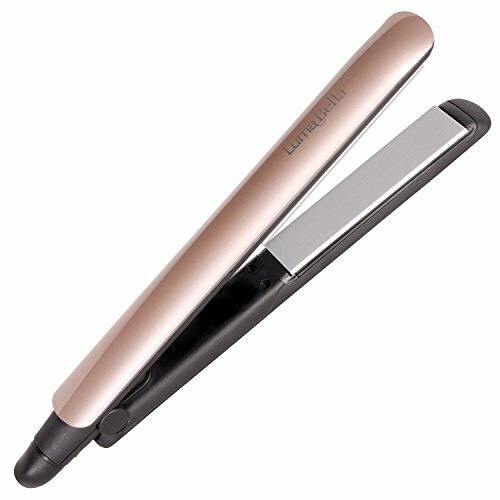 The LumaBella Keratin Dual Touch Hair Straightener is a masterpiece of hair straightening. This Keratin touch straightener features smart heating technology to help reduce split ends while delivering a great styling experience. The straightener works on your hair to remove loose ends and frizz leaving you with sleek, shiny and beautiful hair. Excessive heat is often one of the major problems with straighteners, however, this iron has that covered for you. Using the latest advanced and intuitive heat sensors, it detects the dryness of your hair and adjusts the temperature accordingly. There will no damage and over time your hair will have an opportunity to self-repair and strengthen. The in-built Keratin micro conditioners leave you with a stunning shine, every time, with no oily residue. ✔ Digital LCD temperature control. ✔ Adjustable temperature from 240 – 450 degrees Farenheight. ✔ Ceramic ionic tourmaline plates protects hair and gives extra shine. ✔ Advanced infrared heat technology. ✔ 360 degree swivel cord to prevent wire tangle. 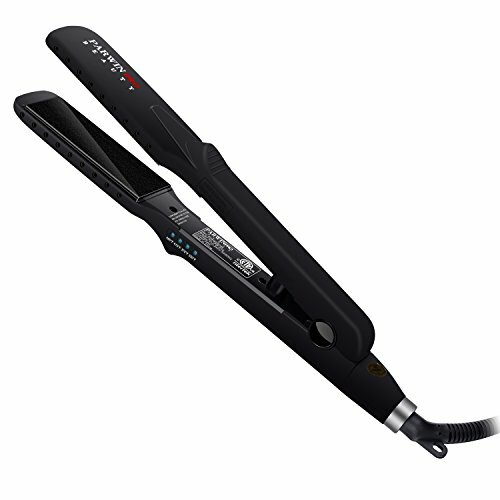 ✔ Rapid heating technology so the straightener is ready when you are. 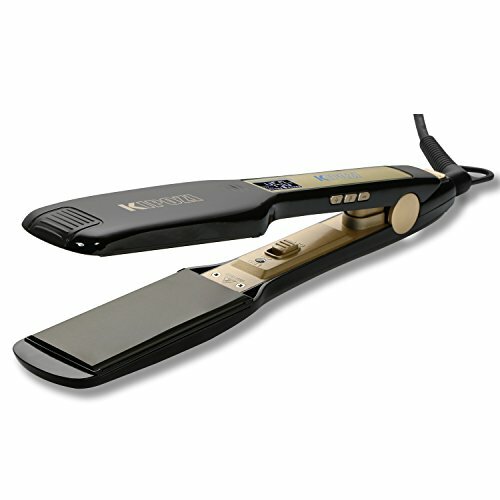 The HSI Professional Ceramic Hair Straightener is a very powerful, yet simple hair straightener. It’s great for relaxing and straightening your wavy hair leaving you with a cover-girl shine. This HSI straightener uses 100% solid ceramic tourmaline plates and also uses infrared heat technology, ensuring your hair is healthier and safer while styling. Thought was put into its design with its 8-foot swivel cord freeing you from constant entanglements. A digital readout is also included to allow exact temperature settings, which will contribute to less damage on your hair. It is rated as one of the best hair straighteners available on amazon since it delivers salon quality service without the expensive price tag. Besides an additional heat glove and a travel bag to carry the straightener, it comes packed with a sample bottle of Argan oil for you. ✔ Uses steam and negative ion technology to lock in the hairs natural moisture. ✔ Diamond ceramic plates for maximum performance and longevity. ✔ Usable on both wet and dry hair. ✔ 1.25 inch floating plates for easy hair gliding when straightening. ✔ Multiple temperature controls ranging from 330 – 450 degrees Farenheight. ✔ Rapid heating technology enables the iron to heat up in seconds. ✔ 360 degree rotating cord to straighten at all angles. The PARWIN PRO Tourmaline Ceramic Hair Straightener is one of the makes the list of best hair straightener because it has unparalleled features. The straightener uses steam and negative ions to maintain your hair’s moisture while at the same time removing frizz. It comes with a duo functionality to enable you dry both wet hair and dry hair and straighten it in one go. The iron features multiple temperature controls to easily enable you to straighten any type of hair. The straightener is known for it’s easy glide ability, enabling hair to just swipe through the straightener without getting caught. The device has rapid heat technology, further saving you precious minutes and giving you a seamless styling experience. Those with thick hair should not worry as the straightener works for all types of hair. ✔ Silk protein infused plates provide snag free gliding and even heat distribution. ✔ 2 inch floating plates straighten more hair in less time. ✔ Customizable, salon-style heating gives maximum control over the temperature. ✔ Auto shutoff feature after 60 minutes to prevent damage. ✔ Rapid heating technology so the iron is immediately ready to use. ✔ 360 degree swivel cord to provide a tangle-less experience. The Remington Studio Silk Ceramic Hair Straightener gets you professional results from its salon-high heat of about 455 degrees on easy to configure controls to give your hair consistent heat distribution with maximum straightening. The Remington iron has floating plates which enable the hair to glide through the hair as it is being straightened. The iron heats rapidly and will get to it’s maximum temperature in just 15 seconds. 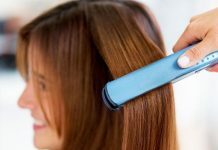 The larger iron surface will be a huge asset to those with long and thick hair ensuring this iron can be used by those with even the most difficult hair. The iron also features a temperature lock and a safety shutdown mechanism after one hour of non-use. ✔ 1.75 inch special floating plates for snag free straightening. ✔ Titanium build provides even distribution of heat. ✔ Adjustable temperature from 170 – 450 degrees Fahrenheit gives you control. ✔ 8 foot cord so you can straighten wherever you like. ✔ 360 degree swivel cord to prevent cord tangle. The KIPOZI Professional Titanium Hair Straightener is a great straightening iron. 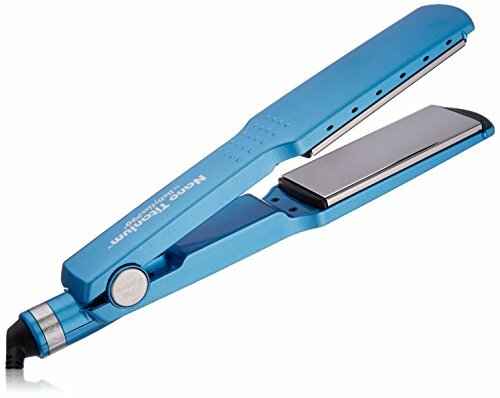 This titanium hair straightener is a must have, especially when travelling. A dual voltage functionality has been included so the iron can be used in multiple countries. It has a 1.75-inch floating plate which works perfectly to ensure snag-free hair while also covering a wider hair area. The titanium plates give your hair an even distribution of heat, leaving you with silky smooth hair. You do not have to worry about forgetting to shut it off as it comes with an auto-shut functionality after 60 minutes of non-use. The straightener is durable and has been ergonomically designed for every day use making it one of the best hair straighteners. In our view, the LumaBella Keratin Dual Touch Hair Straightener is the best hair straightener on the market today due to it’s versatility and easy of straightening. 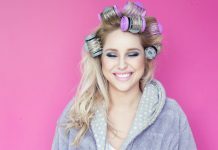 We hope that these reviews have helped you make a decision as to which hair straightener to buy. If you have any questions, please don’t hesitate to leave them in the comments below, and we’ll do our best to address them.